If you are a diva who loves to turn heads wherever you go and this delightful drape is a must have item for your closet. 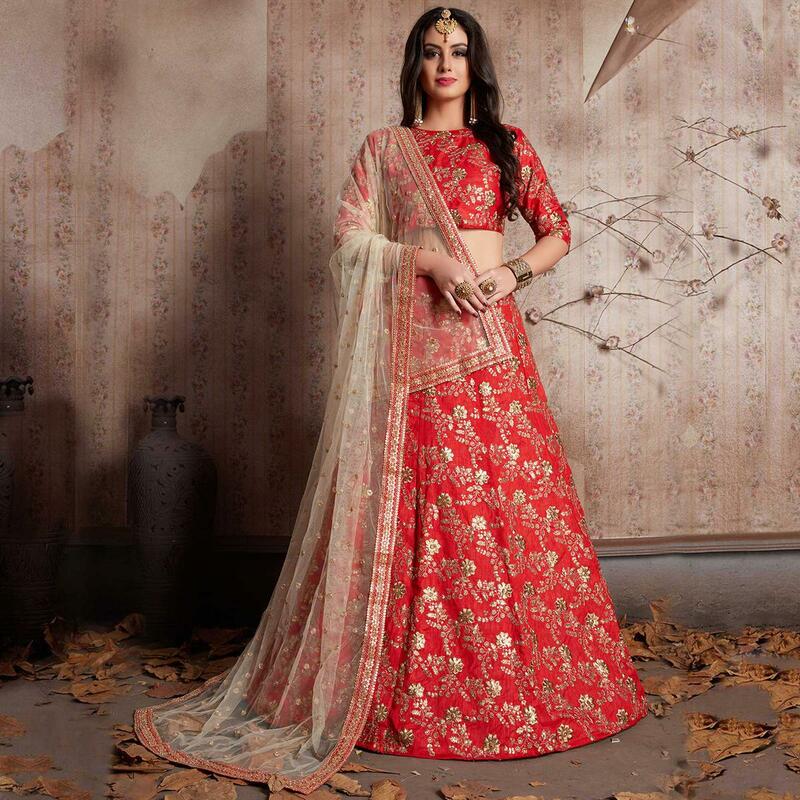 Keep ahead in fashion with this red colored lehenga choli. 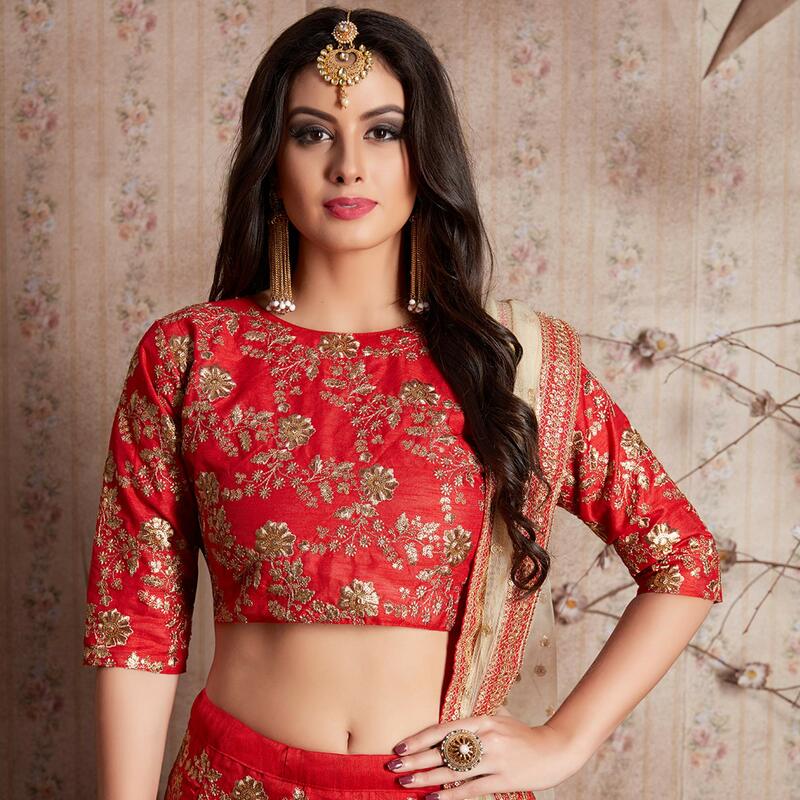 This set features a red sleeves blouse in raw silk base with floral gold zari & sequins embroidery all over. It is paired with matching gold embroidered red raw silk flared lehenga. It comes along with beige net dupatta with gold lace all over. Specially designed to wear in weddings, functions, engagements, ceremonies and special occasions. Teaming this dress with golden jewelry and high heels that would be an added attraction. Buy this beautiful lehenga choli now.